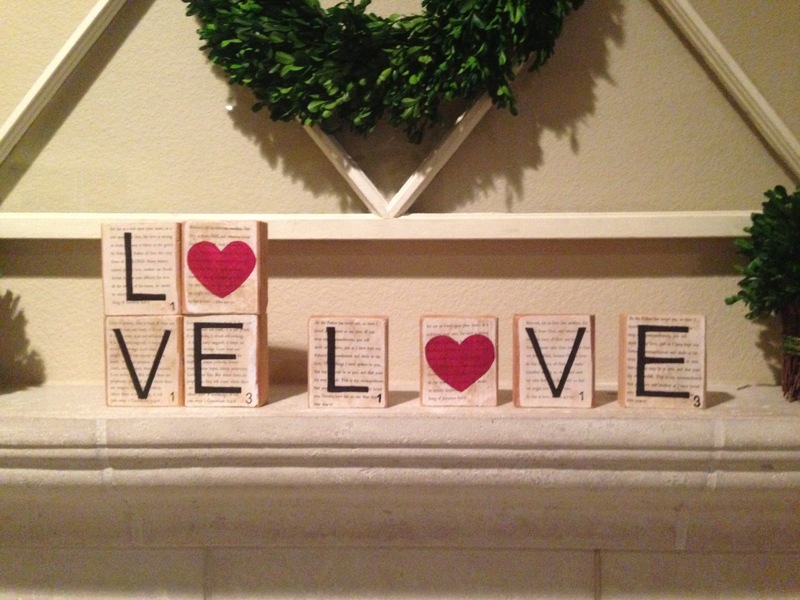 Valentine’s Day is coming up soon, if you are looking for a cute gift to make someone, or just would like to make something cute for your home- this is the post for you!! You could always use book pages, newspaper etc. 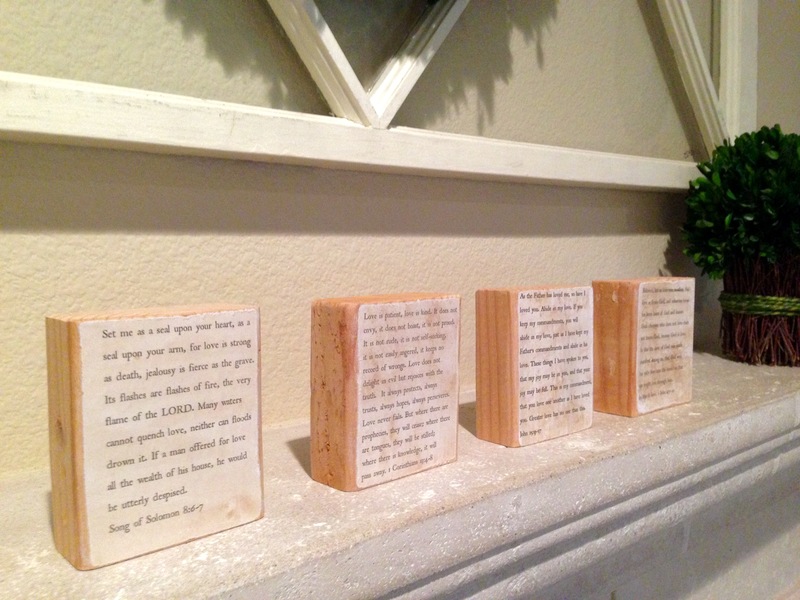 if you don’t necessarily care about what is printed on the background of the blocks too. 1. If you are printing paper (not using book paper) print that out and age it if you want with tea bags. 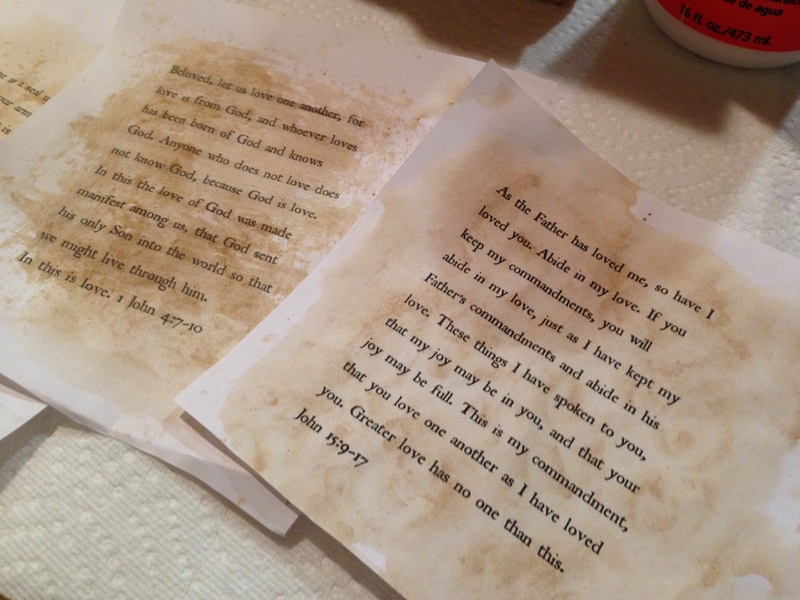 You steep a tea bag in water for a few minutes for it to get to a darker color, then take the tea bag out of the water and lightly rub it over the pages so the color transfers onto the sheets of paper. 2. 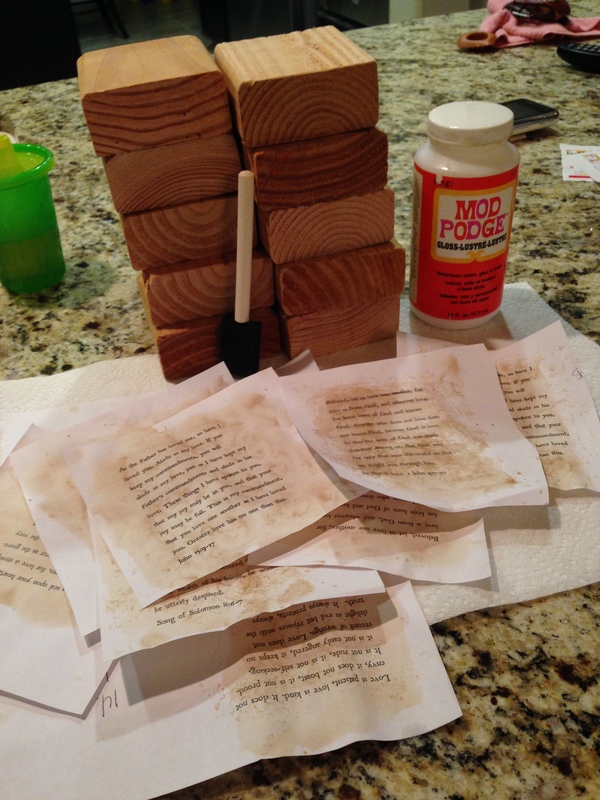 You are going to take a thin layer of mod podge and cover the front of your block, and place and smooth out your first sheet of paper. Leave it to dry face down and stack them so they will adhere well. 3. 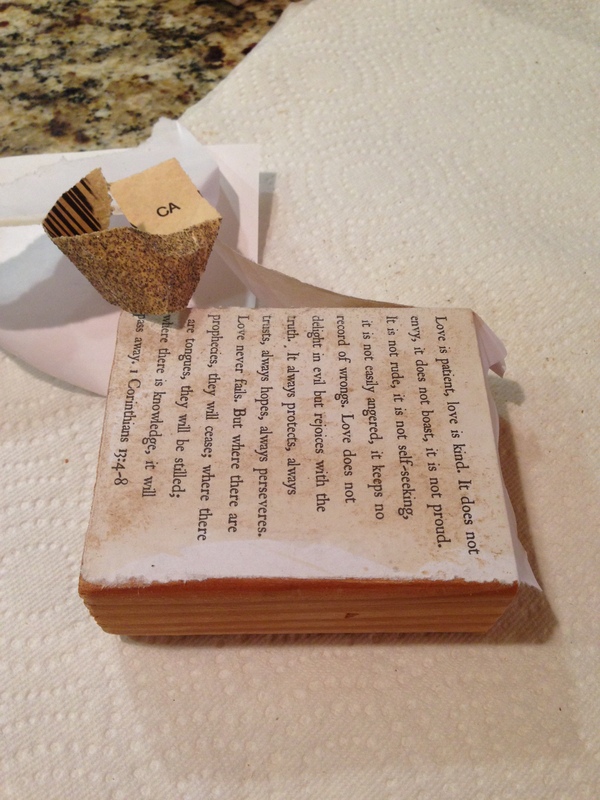 Once dry, you can sand the excess edges of the paper off to get a distressed look to the blocks. Its ok for it to have an uneven texture and look messy. 4. NOW, you have a choice. You can either trace the letters on if you want with a sharpie (by a stencil, freehand if you’re that gifted, or by printing if off of your computer and using an exacto knife to cut out the letters and be left with a stencil letter to use on the blocks) or you can use a cricut, silhouette or any other kind of crazy vinyl device I may not know about to adhere your letters onto the blocks. I chose to trace my letters on, so I took the fine tipped sharpie and outlined the letters, and then filled them in with the thicker (regular point) sharpie. 5. If you want to leave them natural, go right ahead and your done! If you want to seal the blocks go ahead and put another layer of mod podge over all of the sides of the blocks. 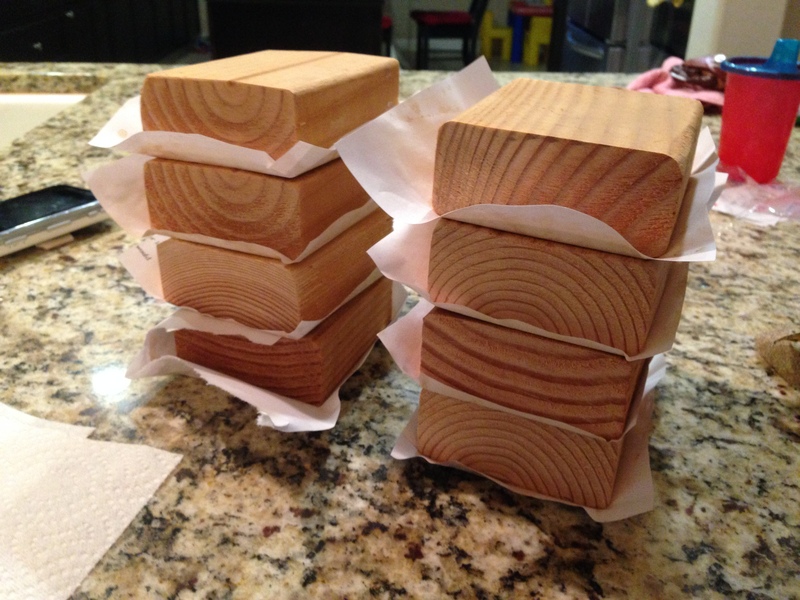 I did this in a gloss finish and it didnt distract or take away from the distressed look of the blocks, and I know they are all sealed and will last a long time. press.com/2015/01/img_6071.jpg”> I love that the words show through the red heart. I loved the result- and the possibilities of how you can make these your own! Stack them to have a cute effect as well. 2015/01/img_6076.jpg”> far away shot, on my mantle. Now, every time I look at these I am reminded of His love. Its perfect! Thank you so much! I have lots that I’m planning to post!